Insight: choosing the right brand architecture makes branding across an extending product offering easy. 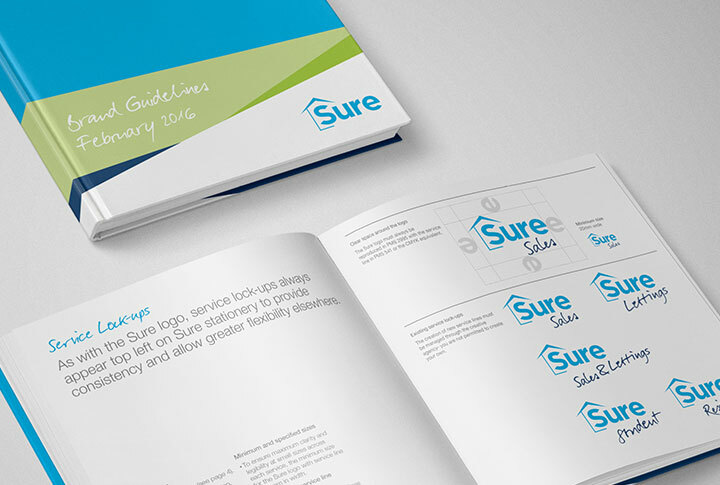 Having experienced significant expansion over the last 15 years, Sure Property Group was struggling with a brand identity that had evolved to be known in many different forms to different audiences. They needed a brand architecture that would solve their branding problems, bringing all their offerings together under a single, familiar identity that could then be given a fresh and engaging new twist. 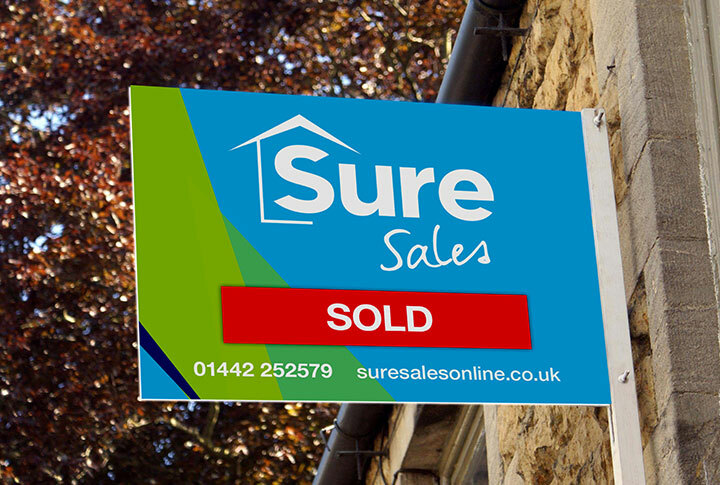 We took Sure back to basics, modifying the Sure logo to give it more strength and weight and adding a descriptor which enabled each part of the business to differentiate what it did; lettings, sales, property management, franchising. 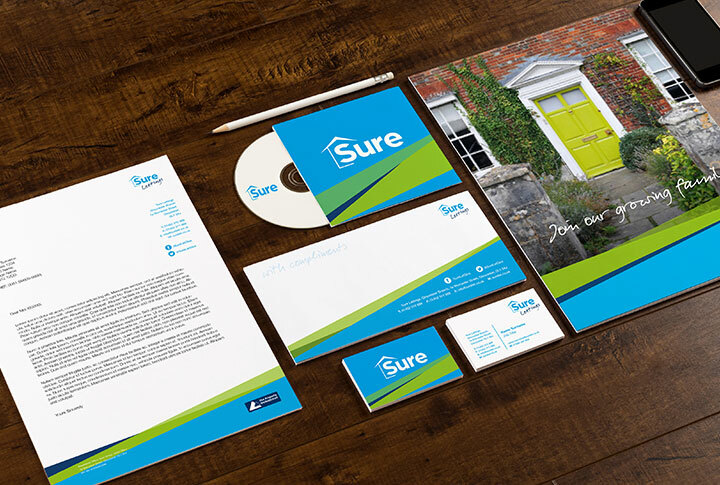 Then we went to work bringing a fresh new look, feel and tone to the brand which we run out across their marketing collateral bringing vitality and confidence to each of their touch points with customers.